Stunning, colourful, handmade pieces for sale. Featuring works from Canada, Italy, and Central Europe. 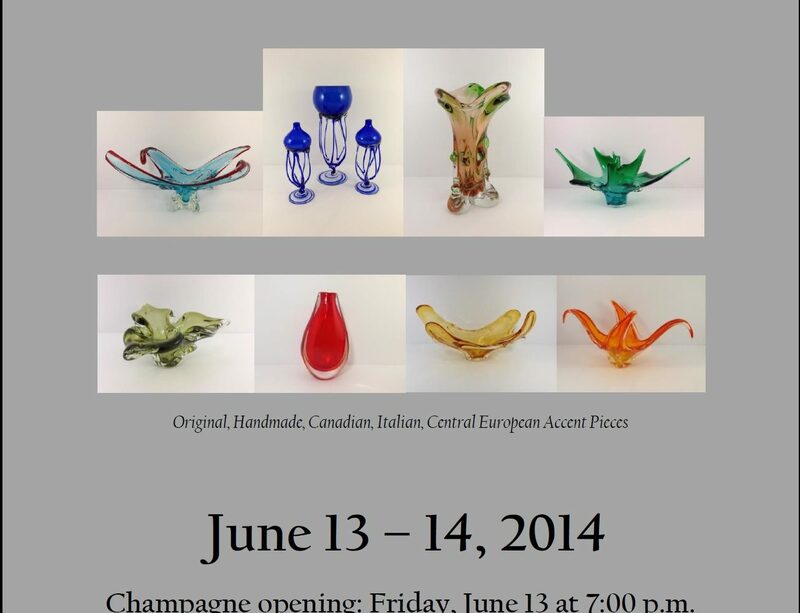 Champagne opening: Friday, June 13 at 7 p.m.
Mary Hrushewsky, founder of “Unique Finds Vintage Glass”, is a long time Bloor West resident, a former teacher of economics, a mother of two teenaged boys, and an avid collector and dealer of mid-century art glass from Canada, Italy, and Central Europe. She has done countless shows and has shared her collection with many. Each hand-crafted, one-of-a-kind piece is a reflection of her passion for art, as expressed in the interplay of light with brilliant, often vibrantly-coloured glass. Mary enjoys sharing her extensive knowledge of mid-century art glass history and glass-making techniques. She also enjoys applying her knowledge and expertise to help people create interior design statements by using art glass as accent pieces.